hi vidyarp, hi glad you are feeling better. Happy to share that i am now feeling normal. No more pains and aches....I feel sooo relieved. I am back to being my usual self. But somewhere in my mind, i am still conscious of the fact that i have gone through some tough times and if i am not careful, i am going to have to go through it again. And that makes me a little careful in what i do, what i eat. You have come to the right place for support. 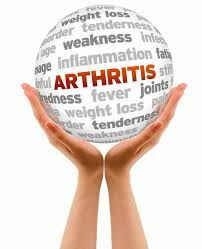 You are still young and will have a long time to learn how to deal with the pain and struggles of arthritis. With troubled hips you may find that your walking gait will change in time. I began to walk like a 'penguin' - it got worse as my hip kept deteriorating, but I never gave up. I just kept on walking and being an active person. Eventually you may need to have a hip replacement. I had a total right hip replacement just over a year ago (at age 58), recovery went well because I worked at doing strengthening exercises ahead of time. So far, my other hip is doing okay. I am much heavier than you are so weight loss would be a good thing for my knees. Losing weight is easier said than done though! That's why we look to Spark People for some support and suggestions. Hi Vidya, I have arthritis RA, Fibro, and others. Have you considered working out in water. hello vidya, I know how hard having arthritis is,but exercise does help so dooes losing weight or so my doctor tells me it is hard to move when you are in pain but it does help. sparkpeople is wonderful wth resources and support. good luck and have good day. My name is Vidya and i am a 39 year old woman. I work in the IT sector and sadly lead a very sedentary life (am chained to my desk/laptop most days). I lost my mom a few years back and thats when my arthritis started showing up. I think its all the stress and depression that aggravated it. Anyway, here i am, diagnosed with arthritis on my hips. The pain usually comes and goes and i am fine most days. But then there are days when i am barely able to walk. But you know what - days like that make me want fight it hard. I dont want to be a slave to my disease. I dont want the pain controlling my life. I have learnt (the hard way) that i dont need to wait for the perfect time when everything is in order, to enjoy life. Life is happening now. It is not perfect, but one must find ways and means to be happy with it. Alright - am rambling. I am glad to be here and i seriously need advice from all of you - on how you manage to shake off those pounds when you can barely walk.